N-dimensional hypercube is widely used in the field of parallel computer systems. The special topological structure of n-dimensional hypercube has significantly affected the performance of large multiprocessor systems. In this article, we prove the following result: In n-dimensional hypercube, for any two nodes with hamming distance that equals to k, there are k node-disjoint shortest paths of length k. Additionally, if we include nest-to-shortest paths of length k + 2 in addition to shortest paths, there will be n node-disjoint paths in total. Lai, C.N. (2012) Optimal Construction of All Shortest Node-Disjoint Paths in Hypercubes with Applications. IEEE Transactions on Parallel and Distributed System, 23, 1129-1134. Lai, C.N. (2015) Constructing All Shortest Node-Disjoint Paths in Torus Networks. 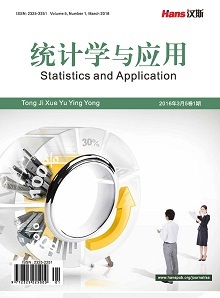 Journal of Parallel and Distributed Computing, 75, 123-132. Chen, X.B. (2013) Paired Many-to-Many Disjoint Path Covers of Hypercubes. Information Sciences, 236, 218-223. 陈荷花, 高太平. n维超立方体中点不交的最短路径[J]. 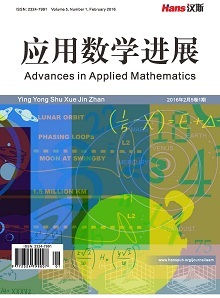 山西大学学报(自然科学版), 2016, 39(2): 229-232. Chung, I. (2013) Design of a Set of One-to-Many Node-Disjoint and Nearly Shortest Paths on Recursive Circulant Networks. Journal of Korea Multimedia Society, 16, 897-904. Lai, C.N. (2012) Two Conditions for Reducing the Maximal Length of Node-Disjoint Paths in Hypercubes. Theoretical Computer Science, 418, 82-91. 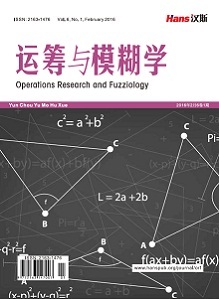 Wu, R.Y., Chen, G.H., Kuo, Y.L., et al. (2012) Node-Disjoint Paths in Hierarchical Hypercube Networks. Information Sciences, 177, 4200-4207. Joa, S., Parkb, J.-H. and Chwaa, K.Y. (2013) Paired 2-Disjoint Path Covers and Strongly Hamiltonian Laceability of Bipartite Hypercube-Like Graphs. Information Sciences, 242, 103-112.